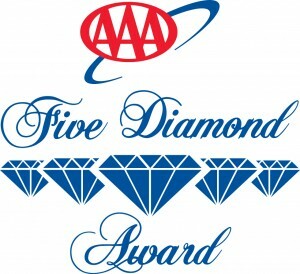 AAA’s new 2014 Diamond Ratings are now out. This year, AAA added 14 additional hotels and 14 restaurants to their top rating. However, AAA also downgraded 7 hotels from a Five-Diamond Rating to a Four-Diamond Rating. There are currently 124 Five-Diamond Hotels in North America (only about .4 percent of all hotels). California and Quintana Roo, Mexico, were the only states to gain both a TrueGuest hotel and a Five Diamond restaurant. Mexico City, Four Seasons Hotel Mexico D.F. This entry was posted in Great Customer Service, News & Notes and tagged aaa five diamond hotels by TrueGuest. Bookmark the permalink.